Owen Pallett, formerly performing as Final Fantasy, is on tour right now. Though the American leg is over, there are plenty of Canadian, European and Asian dates to look forward to. This is valuable information for lovers of string music, peculiar lyrics and minimal, yet mesmerizing performances. Since 2002, Pallett has contributed violins and arrangements to over thirty albums by other artists, in addition to recording three albums of his own, two under his old, video-game-inspired moniker. Like the wonderful Zoe Keating, repeatedly featured here and in Coilhouse 05, he plays over loops he records live. He also sings, plays keyboards, quips and manages to entrance fans whether he’s playing in a dive bar or a massive theater. 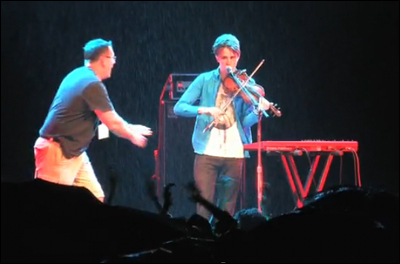 Below, a funny [and strangely moving] video from a performance last year at the Live at the Hillside festival in Guelph, where a drenched Owen Pallett plays against a wall of rain, and against the wishes of festival security. There are two official music videos below the jump, where you can hear how Pallett sounds in less adverse conditions. Neither does his live act justice, though both are neat-o. 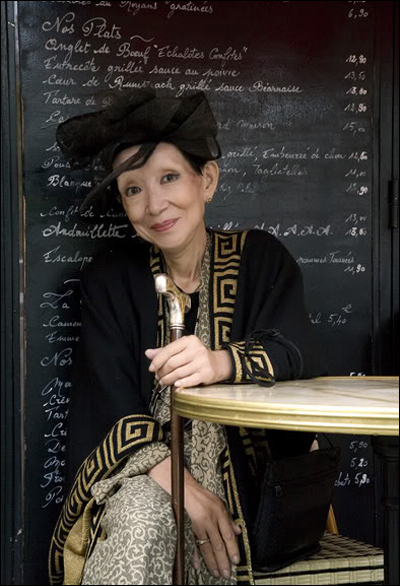 Megumi Satsu, the mysterious chanteuse and hat enthusiast we covered almost exactly one year ago, died in Paris yesterday. She was sixty-two years old. It was also just last year that Megumi Satsu released her final album, eerily titled, Après Ma Mort [After My Death]. Megumi’s representatives have yet to release any details, but we needn’t dwell on them anyway. 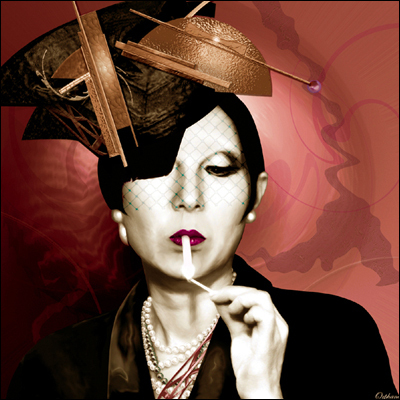 Instead, let’s wish her a fair journey and remember Madame Satsu as the offbeat, elusive diva and enigmatic muse to Prévert, Baudrillard, and Topor she was until the end. She’ll be sipping cocktails and talking fashion with Klaus Nomi and Isabella Blow in no time. Nerdcore. Chiptune. Gamewave. Bands Influenced by Video Games. It’s almost a given that we, as People of the Web, have heard at least one track we can assign to this genre. With MC Fronalot, Anamanaguchi, and Minibosses among the names at its forefront, this movement is a love letter to all things nerdy and wonderful. 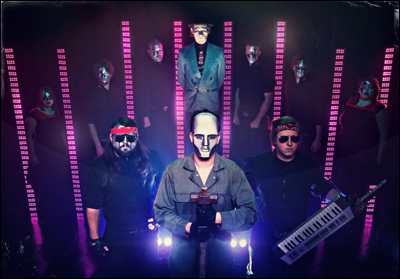 The Protomen may be lesser-known than some of the aforementioned folks right now, but not for long. Panther, the lead vocalist, is joined by a cast of nine, who, in his words, “noticed a void in rock and roll. A hole that could only really be filled with grown men and women painting up like robots and playing some fierce and furious rock music based on a 1980s video game.” Having just released their second album, the Nashville-based, Mega Man-inspired, silver-painted space cowboys [and girls] have been on a national tour since summer, and if you have the chance, you should definitely check ’em out. These guys are young, hilarious, and they’re damn good. Despite all the tight production and shiny web design, this band is meant to be experienced live. As the countless performance clips on YouTube prove, you can expect some form of a mosh pit, costumes, eager audience participation, theatrics and a whole lot of RAWKK. Also, the odd Journey cover, or better yet, Clap Danzatar, a Pat Benatar and Danzig mash-up which must be heard to be understood. 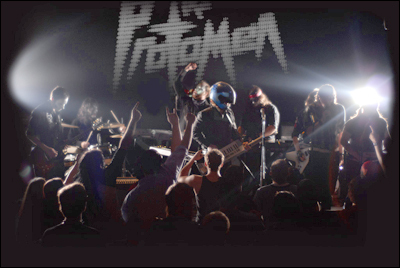 Simply put, if you like things like rock operas, video games, or fun, and can tolerate a little retro-worship, do yourself a favor and get into The Protomen. This fan-made video for Unrest in the House of Light, a track off their first album, is a good place to start. You might be wondering what Justin Timberlake, health Jimmy Fallon, and a hip-hop medley are doing here. After all, we live in a world where hip-hop very nearly is the mainstream, right? Two reasons. One: it was not always so. Two: the clip is guaranteed to make you grin, and we care about your grin quota. Watch below as JT, together with JF and The Roots, delivers a mini-lesson in the history of American rap, starting with the Sugarhill Gang and ending with Jay-Z. I dare you to watch it just once. Dare! The aim of Horizon is to provide a platform from which some of the world’s greatest scientists and philosophers can communicate their curiosity, observations and reflections, and infuse into our common knowledge their changing views of the universe. 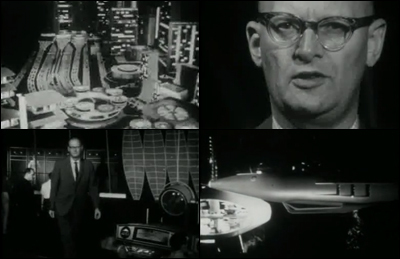 Later that year, science fiction author Arthur C. Clarke was invited to share his visions of the future. Some are scary, warning us of the world becoming a giant suburb – right up there with the terror of Idiocracy, which still gives my nightmares. Some are encouraging, though yet-unrealized. My favorite speculations include: domed communities on icecaps, holidays under the sea, planetary engineering, and my top favorite remains recording directly onto the brain [please, yes?]. Every once in a while this happens: I find something hilarious, get excited to post it here, and then realize that it’s only funny to Russian-speakers. However, in the case of this touching love ballad, poignantly titled “My Pepper Misses Paris Hilton”, I’m compelled to share anyway. Even took the time to translate the lyrics, which you’ll find after the video. It should be noted that “pepper” in Russian is pronounced “peh-rehtz” – not unlike “Paris”. Yes, with that in mind I believe everyone will be able to appreciate the elevated subtleties of Russian humor presented herein. She’s not idiot, far from it. She’s not the queen of glamour for nothing! She’s a personalty, a socialite lioness. Oh, mommy, how I suffer. I don’t know what to do with this pain. I suffer so, I languish. My pepper misses Paris Hilton. Bottle of whiskey and I have become too close. A Limp Bizkit CD, two caramels in my pocket – this is all I have to my name. I suffer so, I languish, I can’t stand it. What am I to do? I don’t know. All that’s left is to sing. My spleen is killing me. Baby, call me, we need to talk. Mark Roth studies suspended animation: the art of shutting down life processes and then starting them up again. It’s wild stuff, but it’s not science fiction. Induced by careful use of an otherwise toxic gas, suspended animation can potentially help trauma and heart attack victims survive long enough to be treated. Coilhouse Issue 02 alum Kate O’Brien just finished a Tom Banwell-and-Bioshock-inspired shoot, and a few dreamy images have trickled out into her Flickr stream over the past 24 hours. 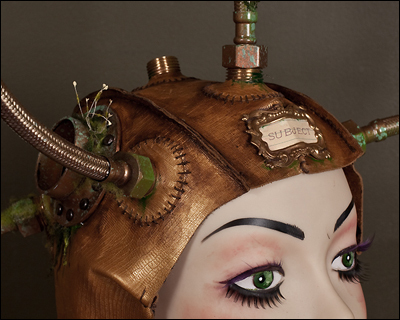 I remember her uploading a bunch of in-progress photos of the helmet featured in these shots, and me being verrry curious about the forthcoming images. Kate pours a massive amount of time, money, and energy into building her own props and sets, often documenting the process in her blog. You can read all about this gold leather helmet here. Apologies for the black bars, but we’ve had a few complaints about posting teh n00dz on the front page before, so please click the jump for bar-free pretties. Here’s another Cronenbergian nightmare for you! Been meaning to roll this one out for a while now, but Ross’ Yeasayer post and last week’s focus group scene on Mad Men reminded me to finally get on it. This Nokia N900 commercial came out late last year, and leaves me a little puzzled even after third and fourth and fifth viewing. 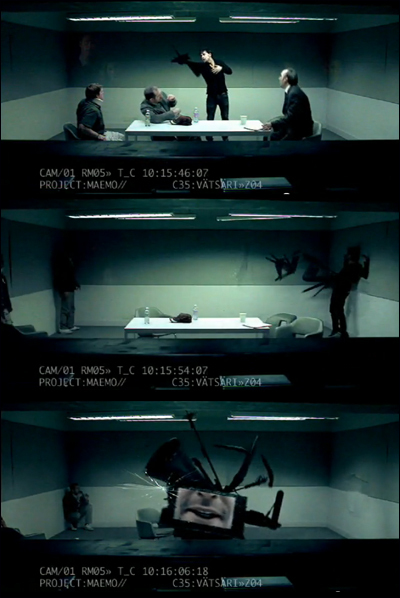 The scene opens with a view of a focus group, as seen through glass by the observing parties. A few guys brainstorm desirable phone features, while one – a black-clad, scruffy type – doesn’t seem to be interested in participating. When asked to speak up, he begins to twitching and screaming at his collaborators. Panic ensues. Then, after a series of incredibly cool-looking and terrifying man-becomes-machine contortions, he transforms into a phone. Yep. It’s an insane, abusive man-phone. Enjoy! Below is an unforgettable and somewhat controversial piece of U.S. history. 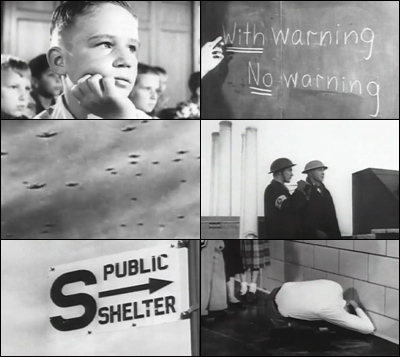 Commissioned in 1951 by the US government, Duck and Cover was distributed as a children’s safety education film that taught atom bomb preparedness. For those not at ground zero, there would be a delay between the flash (indicating the need to duck and cover) and the arrival of the blast wave, which could shatter windows and cause other blast or impact injuries (although electromagnetic radiation, such as infra-red and gamma rays, would arrive at the observer’s position at the same time as the light flash, leaving the observer no time to find cover from these particular aspects of a nuclear detonation). A newspaper would, at least in theory, block alpha radiation although skin does this anyway, provide some shielding from the heat (IR, visible and UV) radiation and small debris, though it would have no effect on the beta and gamma radiation or on the shockwave that would accompany an atomic detonation. Watch Duck and Cover below and pay close attention. After all, you never know when the bright flash may come.